A certified, licensed Cosmetologist performs cosmetic consultations, makeup consultations and a variety of beauty therapies. They are also often required to assist with receptionist duties such as answering phones, scheduling appointments and receiving and recording payments. 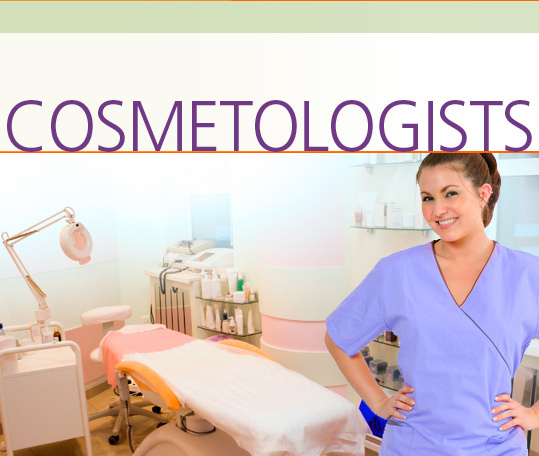 In the Cosmetologists Career Extension, students learn how to interview for a job and discuss their education, training and work experience. They talk about job responsibilities and work conditions. They learn about equipment and supplies, discuss treatment with a client, schedule an appointment, and suggest treatments. They learn how to handle complaints and talk about their strengths, weaknesses and goals for the future.